The local-field (LF) problem of a finite-size dipole emitter radiating inside a lossy inhomogeneous structure is a long-standing and challenging quantum optical problem, and it now is becoming more important due to rapid advances in solid-state fabrication technologies. Here we introduce a simple and accurate quasi-normal mode (QNM) technique to solve this problem analytically by separating the scattering problem into contributions from the QNM and an image dipole. Using a real-cavity model to describe an artificial atom inside a lossy and dispersive gold nanorod, we show when the contribution of the QNM to LFs will dominate over the homogeneous contribution. We also show how to accurately describe surface scattering for real cavities that are close to the metal interface and explore regimes when the surface scattering dominates. Our results offer an intuitive picture of the underlying physics for the LF problem and facilitate the understanding of novel photon sources within lossy structures. P. Lodahl, A. Floris van Driel, I. S. Nikolaev, A. Irman, K. Overgaag, D. Vanmaekelbergh, W. L. Vos, Nature 430, 654 (2004). L. Novotny, B. Hecht, Principles of Nano Optics (Cambridge University, 2006). S. A. Maier, Plasmonics: Fundamentals and Appliations (Springer, 2007). J. Huh, C. Hermannstadter, K. Akahane, H. Sasakura, N. A. Jahan, M. Sasaki, I. Suemene, Jpn. J. Appl. Phys. 50, 06GG02 (2011). T. M. Babinec, Y. A. Kelaita, K. A. Fischer, K. G. Lagoudakis, T. Sarmiento, A. Rundquist, A. Majumdar, J. Vuckovic, “A light-matter interface based on a single InAs/GaAs quantum dot in a nanometallic cavity,” arXiv:1406.7050 (2014). G. M. Kumar, D. N. Rao, G. S. Agarwal, Opt. Lett. 30, 732 (2005). S. Scheel, L. Knöll, D.-G. Welsch, Phys. Rev. A 60, 4094 (1999). S. Wheaton, R. M. Gelfand, R. Gordon, Nat. Photonics 9, 68 (2015). H. T. Dung, S. Y. Buhmann, D.-G. Welsch, Phys. Rev. A 74, 023803 (2006). T. M. Hien, H. T. Dung, D.-G. Welsch, Phys. Rev. A 83, 043820 (2011). C. Van Vlack, S. Hughes, Opt. Lett. 37, 2880 (2012). D. J. Bergman, M. I. Stockman, Phys. Rev. Lett. 90, 027402 (2003). M. A. Noginov, G. Zhu, A. M. Belgrave, R. Bakker, V. M. Shalaev, E. E. Narimanov, S. Stout, E. Herz, T. Suteewong, U. Wiesner, Nature 460, 1110 (2009). M. S. Tame, K. R. McEnery, S. K. Özdemir, J. Lee, S. A. Maier, M. S. Kim, Nat. Phys. 9, 329 (2013). 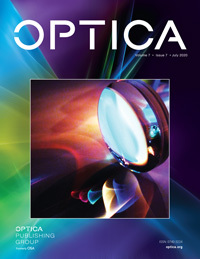 P. T. Kristensen, S. Hughes, ACS Photonics 1, 2 (2014). R.-C. Ge, S. Hughes, Opt. Lett. 39, 4235 (2014). R.-C. Ge, P. T. Kristensen, J. F. Young, S. Hughes, New J. Phys 16, 113048 (2014). C. Sauvan, J. P. Hugonin, I. S. Maksymov, P. Lalanne, Phys. Rev. Lett. 110, 237401 (2013). P. T. Leung, S. Y. Liu, K. Young, Phys. Rev. A 49, 3982 (1994). E. S. C. Ching, P. T. Leung, A. M. van den Brink, W. M. Suen, S. S. Tong, K. Young, Rev. Mod. Phys. 70, 1545 (1998). M. S. Tomas, Phys. Rev. A 63, 053881 (2001). K. M. Lee, P. T. Leung, K. M. Pang, J. Opt. Soc. Am. B 16, 1409 (1999). J. M. Gordon, Y. N. Gartstein, J. Opt. Soc. Am. B 31, 2029 (2014). The electric field at the position of the dipole by the image dipole is Ey(rd)=p2ε0πεb−εεb+ε3(2h)3(εc+2ε), with p being the dipole moment and ε0 the permittivity of free space. We used FDTD Solutions: www.lumerical.com . van den Brink, A. M.
Fig. 1. (a) Schematic of a 3D gold nanorod in a homogeneous background ( n b = 1.5 ), (b), (c) modulus of the QNM spatial profile, f ˜ c with ω c / 2 π = 324.981 THz (1.344 eV); (b) indicates the LF problem with a RC near the center of the nanorod along the y axis, and (c) shows the same RC but 1.5 nm away from the top surface. The radius and permittivity of the cavity are r c and ε c , respectively (see text). Fig. 2. LF effect: a y -polarized dipole at 0.5 nm away from the center of the nanorod, as is shown in Fig. 1(b); r c = 0.62 nm for (a) and (b), and r c = 3 nm for (d). (a) Full FDTD dipole calculations of F y FDTD (red solid line) and the analytical result of F y 0 (green dashed line); (b) difference between F y FDTD and F y 0 (orange solid line) and the QNM contribution (blue dashed line); (c) ratio of F y S to F y 0 versus cavity radius: on resonance ( ω = ω c , red solid line), redshifted ( ω = 1.3 eV , orange dot-dashed line), and blueshifted ( ω = 1.4 eV , blue dashed line); (d) F y (red solid line) and F y 0 (blue dashed line). Fig. 3. LF SE effect for r c = 0.62 nm . (a) Enhancement at 1.5 nm away from the top surface, as is shown in Fig. 1(c); the magenta dashed line, green solid line, orange dashed line, and cyan circles are F y 0 , F y FDTD , F y , and F y using F y d given in , respectively. (b) Enhancement at ω c versus the distance h y (from the top surface to the center of the RC); the red solid and blue dashed lines are F y 0 and the total calculated via Eq. (3), respectively, and the vertical dashed line is the regime of (a). (2) G T ( r , r ; ω ) = ∑ μ ω 2 2 ω ˜ μ ( ω ˜ μ − ω ) f ˜ μ ( r ) f ˜ μ ( r ) .